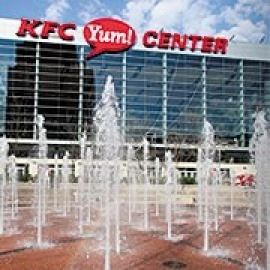 Center located in Louisville, KY. Thee KFC Yum! Center is Louisville's newest multi-purpose arena that boasts a total of 721,762 square feet while offering an arena bowl exceeding 22,000 seats and four meeting rooms spanning approximately 34,000 square feet all within walking distance of more than 4,200 hotel rooms in downtown Louisville. It is home to the University of Louisville men's and women's basketball programs and is ideal for concerts, conventions, corporate events, family shows, ice shows, wrestling and more. The KFC Yum! Center is a state of the art facility with advance technology capabilities that is owned by the Louisville Arena Authority. 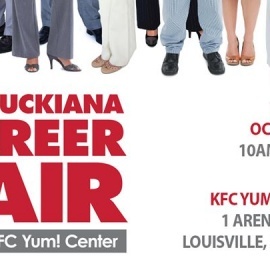 Welcome to the official page of the KFC Yum!